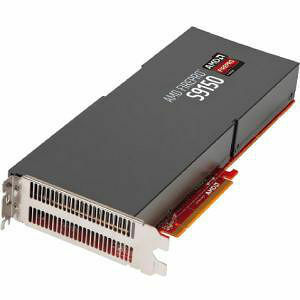 The new AMD FirePro™ S9150 is the most powerful server card ever built . Based on the second generation AMD Graphics Core Next (GCN) GPU architecture, it is capable of delivering up to 5.07 TFLOPS of peak compute power. As the first server GPU to feature ½ rate precision, the S9150 offers the highest single and double precision performance - delivering up to 77% more than the competition. The S9150 also offers the highest performance per watt, up to 21.6 GFLOPS/watt single precision performance, and features 16GB of ultra-fast GDDR5 memory for memory hungry applications - 33% more than the competition. With this much supercomputing prowess, even the most intense workloads are no match for the S9150.